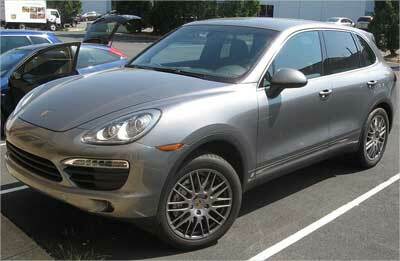 There is no dearth of players in the high end sports utility vehicle segment in the Indian market anymore. This segment currently boasts of brands like BMW, Audi, Volvo et al. While the new Audi Q5 just got another variant to boast about its German competitor is all set to do some rejig to its existing offering. So, let's take a look at four worthy contemporaries sweating it out in the market. Powered by offers the best platform in India to research cars online. Make better car buying decisions using features like car research, reviews, car comparisons, discounts, on-road prices etc. on CarDekho.com. This is a compact premium 4x4 powered by a 2.2 litre TD4 Turbo Diesel engine that is a good performer and has been refined to provide good fuel economy. This agile and responsive car is both a good on-roader and off-roader. 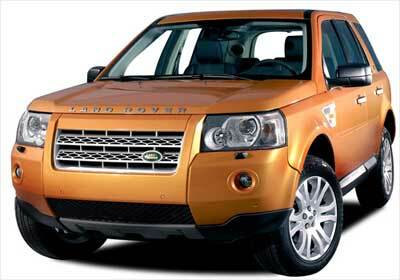 Image: Land Rover Freelander 2. The car comes with four drive settings and its Terrain Response System maximises traction across different surfaces through the vehicle's electronic management system and traction aids. The car is high on safety standards and comes with 5-star rating in Euro NCAP Tests for adult occupant protection. It retails at Rs 33,80,000 - Rs 45,00,000 (ex-showroom, New Delhi). 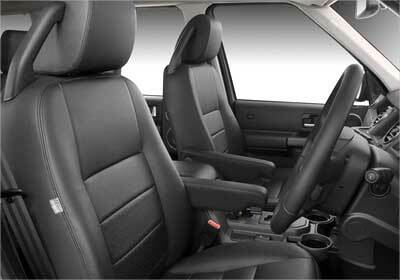 Image: Land Rover Freelander 2 interior view. The XC60 gets its power from a 2.4 litre five-cylinder turbo diesel engine capable of generating 205bhp max power at 4000 rpm and 420Nm of torque between 1500-3250 rpm. The efficient engine is teamed with a six-speed steptronic gearbox and does the 0 to100km/h sprint in under 10 seconds. It also has a permanent all-wheel-drive system. 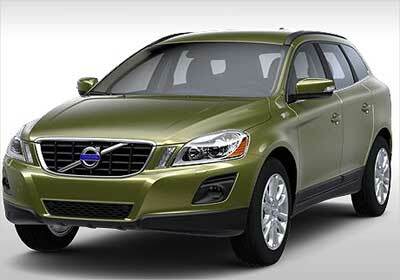 Brand Volvo is known best for its high safety standards and the XC60 offers the best of them. It has features like Laser Assisted Automatic Braking (City Safety), turn with steering lights (Active Bending Lights), Haldex AWD (All Wheel Drive) with Instant TractionTM, continuously controlled chassis concept (FOUR-C) and power tailgate to name a few. 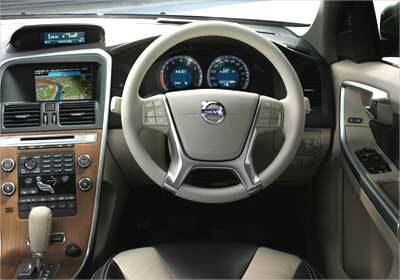 Image: Volvo XC60 interior view. The car has optional features such as auto brake alerts, adaptive Cruise Control that helps maintain safe distance with the vehicle in front, driver alert control, blind spot information system (BLIS) and lane departure warning alerts. The car has been priced at Rs 39.5 lakh - Rs 41.41 lakh (ex-showroom). 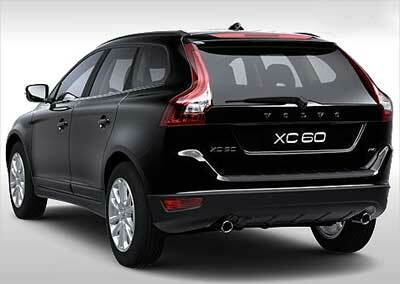 Image: Volvo XC60 rear view. The Q5 SUV by Audi got a new variant the 2.0 TDI Quattro. The Q5 2.0TDI diesel's powermill is capable of generating 170bhp and 35.7kgm of torque. The engine is mated to a 7-speed S-tronic gearbox and will be up against rivals like Land Rover Freelander 2 and Volvo XC 60. Q5's existing models include a 3.0TDI diesel and a 2.0TFSI petrol engine powered vehicles. The car is imported as a Completely Knocked Down unit and assembled in India. 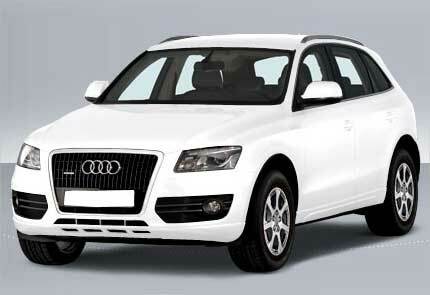 The Audi Q5 2.0 TDI q comes with a price tag of Rs 39,05,000 (ex-showroom) and deliveries start in April 2011. Image: Audi Q5 interior view. BMW has ambitious plans for India's emerging luxury car market which it has been ruling for quite some time. 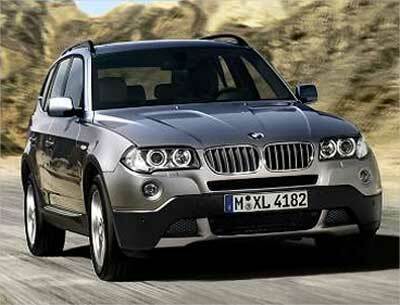 BMW recently announced the launch of X3 SAV (Sport Activity Vehicle) in India by mid-2011. The car will be assembled in BMW's Chennai plant from a CKD kits. The car will flaunt a new engine, gearbox and better rear doors. Its styling will have a combination of both the X1 and the larger X5. However, the car will be longer, taller and wider than the outgoing model. The BMW X3 will get the entry level version, X3 xDrive20d powered by a 184bhp motor carrying a price tag of Rs 41.2 lakh while the petrol X3 xdrive25i will come for Rs 42.2 lakh. 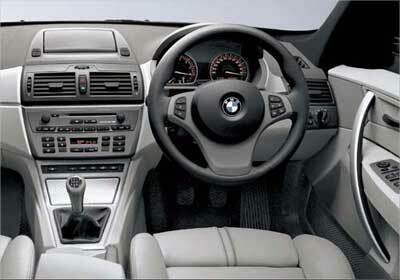 Image: BMW X3 interior view. Rs 12.5-crore Koenigsegg Agera is here! Maserati, Gran Turismo for India!